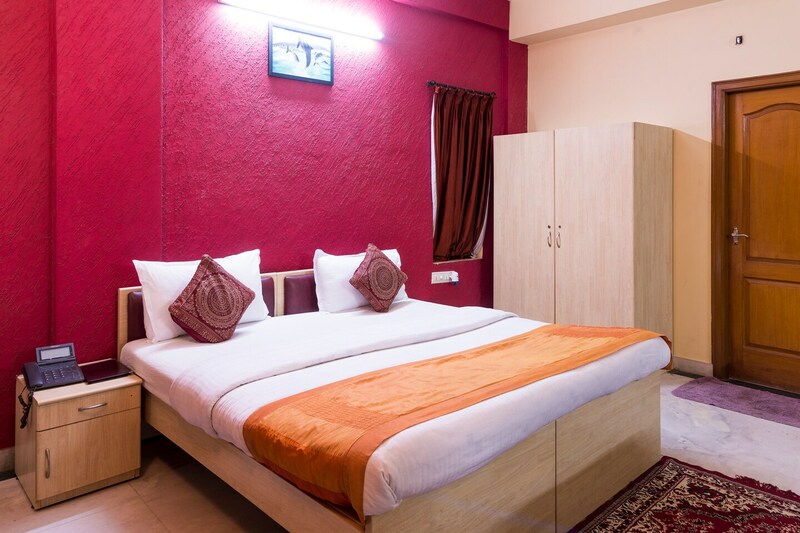 A budget-friendly hotel located in one of the most expensive and posh areas of Bangalore. With a simple architecture and a tasteful interior decor, Hotel Maple Green Deluxe is a pleasant hotel that has a warm ambience. The bedrooms at the hotel have light colored walls and dark wood furnishings with one of the walls painted a dark color, keeping the ambience of the rooms warm and comfortable. The rooms also have large windows that let ample sunlight stream in, brightening up the place. The hotel also has a seating area that the guests can avail during their stay. Other amenities offered by the hotel are free Wi-Fi, power backup, an elevator, parking facility and a card payment option that encourages the guests to go cashless.